Angle: Rotate by this amount around the Rotation center. A random factor can also be added. Alternate: The rotation alternates between being added and subtracted. 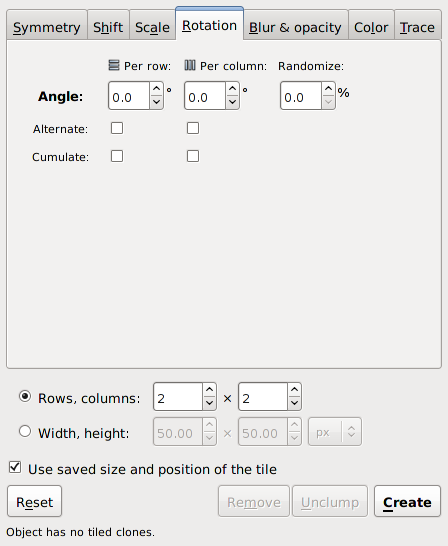 The Rotation tab of the Tile Clones dialog. 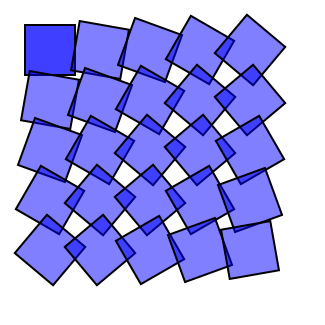 A P1 symmetry tiling with a 10° rotation for each row and column. 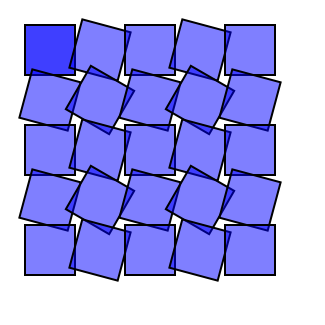 A P1 symmetry tiling with a 15° alternating rotation for each row and column.